Ok guys we are offering a group buy on the OKADA Coil Packs! We would like to get 5 people to sign up for this offer. 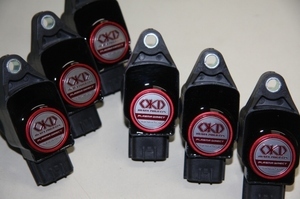 Kings Performance is proud to announce the new Okada Projects Plasma Direct plug & play coils. Gabe, PM me the price bro.